Welcome to the Growing plants genus index C section of the GardenersHQ website. From this page you can navigate to detailed growing information of plants based on genus. Although many genera contain multiple species of plants, the information on each genus should go a long way towards you being able to grow individual species. Members of the Caladium genus are half hardy perennials and bulbs. Common names include Angel wings, Lance-leaf Caladium, Heart of Jesus, Elephant's Ear and Mother in law plant. Calandrinia are half hardy perennials and annuals. As the perennials have a short life span they are usually grown as half hardy annuals in the garden. Common names include Rock Purslane, Parakeelya and Redmaids. Members of the Calendula genus that are grown in gardens are usually versatile hardy annuals. They are commonly known as English, Field or Pot Marigolds. Callistephus plants are half or full hardy annuals, and are commonly known as the China Aster. Calonyction plants are are climbing vines that have heart-shaped leaves and trumpet-shaped flowers. They are commonly known as Moonflower and Bona nox. Caltha plants are hardy perennials that reach a maximum height of about 30 cm (12 inches). They are also known as Cowslip or Marsh Marigold. 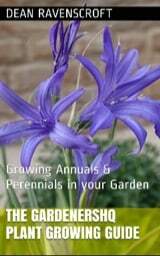 Camassia are hardy bulbs, and can grow up to 2 m (7 feet) in size, with smaller varieties about 30 cm (1 foot) in size. Some of the common names for members of this genus include Camass, Missouri Hyacinth, Wild Hyacinth, and Quamash. Campanula is a very large genus, and contains a large array of plants bearing bell-like flowers, usually of blue or white. Common names include Bellflower, Peach Bells, Harebell and Canterbury bells. Canna is a half hardy perennial that is often grown as an half-hardy annual in the garden. It is commonly called Canna Lily or Indian Shot. Cardiocrinum plants are hardy, carry trumpet shaped flowers of white, and reach heights of close to 12 feet (350 cm). They are Commonly known by the name of Giant Lily or Giant Himalayan Lily.